With spring here, summer on the doorstep, new adventures on my mind, it is time to look back on some pieces of gear which have served me well during the past winter. So in the next days I shall take you back into that cold time, and review a couple items which made winter more enjoyable. 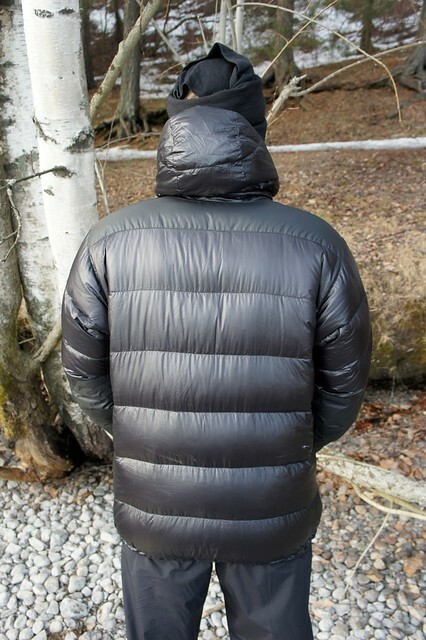 The first piece I'd like to tell you about is the Sir Joseph Koteka Down Jacket, a seriously light down jacket which has kept me very warm between November and March. 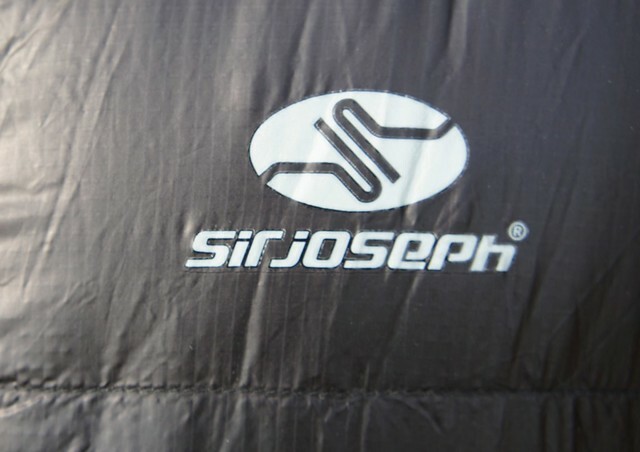 Sir Joseph is a small mountaineering company hailing from the Czech Republic, producing very well made gear for Mountaineers as well as UL backpackers. The important bit: Size M is 440 gram on my scale. Of which are 220 gram of 800 cuin down. 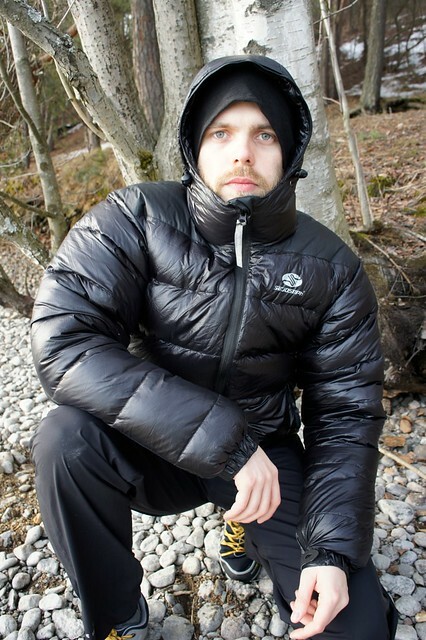 Which makes it the lightest down jacket on the market. But you know me, weight ain't everything. Functionality needs to be there as well. I'm glad to report that the jacket is able to pack a punch of functionality in those 440 gram, though there are some shortcomings, to which I come latter. Lets start with the outer and inner material. It is an Sir Joseph exclusive material which they developed themselves called Softex® Micro - it reminds me of Pertex and is quality-wise in the same league. It keeps the down inside, though the breathability ain't too good. It is, like Pertex, a very sensitive material - keep away from flying sparks and bushwacking through thorn invested undergrowth I also wouldn't do in it. Other than that it is a very nice material, soft and comfortable on the skin, and keeping water and snow out thanks to a very good DWR. I'm not a big fan of velcro, but sir Joseph has made their homework when designing the elastic and adjustable velcro cuffs. I find them really functional, easy to operate with thick gloves, even with one hand. That is really useful in -34°C, when you don't want to have heat escape or needing to get your gloves out to adjust something. You know I am spoilt with the hood of my Haglöfs OZO so the bar is high, and the Koteka doesn't come close to that mark. But it keeps my head warm and the cold wind and snow out, so it does the job. I do think however, that the neck part could be made a tad longer, which would make it easier to turn your head. I also would prefer that if they try to have a sort of visor, that they make it more useful or leave it out - now it is just a tiny shield at the front which doesn't have much of a purpose. The elastics for adjusting the hood could also be improved, now they have a tanka on the outside and the elastic cord goes to the inside, which makes adjusting fiddly and involves opening the jacket a bit to do it properly (you can adjust them from the outside, but it's suboptimal). Yeah, I am spoilt. On to the zipper. As the jacket was new, the zipper drove me mad. It was very fiddly to get the two sliders to align properly to be able to close the jacket, so I don't know if I got a bad zipper or if YKK, the zipper manufacturer, set out to drive me mad. As usage continued this situation got better, though, and nowadays I can close the zipper without even looking at it. However, the memory remains, and I wonder if a simpler, one way zipper wouldn't be much better and also save a few more grams. On the inside it has a wide draft stopper which works very well, and protects the zipper from rubbing against your chin or neck when closed; and the label on the slider gives a good grip for operation, also with thick mitts around your hands. The hem has two tankas and double elastic cord to adjust tightness, which works well, though I think one tanka and one cord would be enough and cut some more weight down. The long back has a good cut and goes just over my buttocks to keep them warm in the blazing cold we had, and thanks to the elastic hem it stays that way. Pocket zipper which you pull down to close. Genius. The Koteka jacket comes with two zippered hand pockets which are massive in size, I can fit in a pair of thick woolen gloves, an extra Buff, windproof over-mitts, a few chocolate bars, my knife, compass, firesteel, a map... Yeah, they're big. Lovely. Warm. 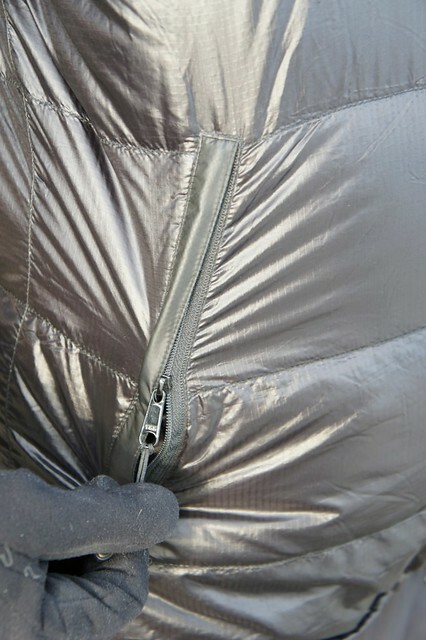 And their zippers you pull down to close, which is so much smarter than normal zippers (which you close pulling up). 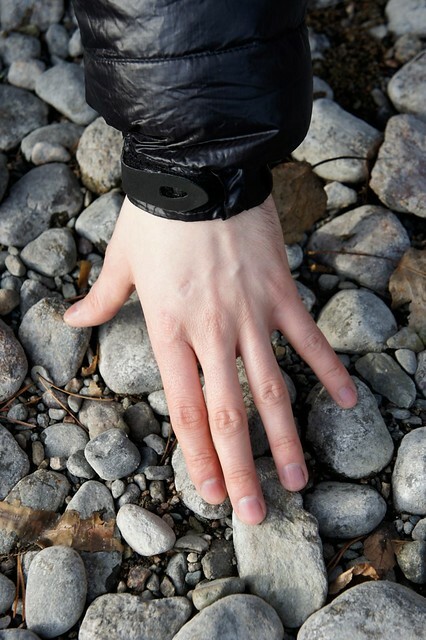 This makes them safer and easier to close, even with thick gloves. Perfect. About the construction of the jacket then. Now according to some research on BPL it doesn't matter if the garment is sewn-through or baffled, but for what its worth, the Koteka jacket has H-chambers which should to be, according to other research, warmer. All I can tell you is that it is massively warm, and if it's less than -20°C then I am fine with only a 200 Merino longsleeve beneath it. It is very warm, and I never got cold wearing it. That's subjective field science! 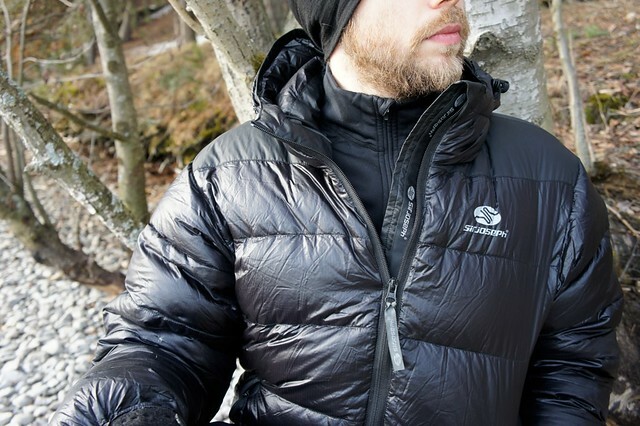 The bottom line is that despite some small shortcomings it is a topnotch jacket for people who go hiking in winter and seriously cold temperatures. It comes in black. It is the lightest down jacket on the market, with the most down (some competitors of this jacket include the Rab Infinity, PHD Yukon, and Montane North Star which are all heavier and have less down!). It keeps me warm in -36°C and a stiff breeze. It packs into a 8 l stuff sack with spare room for your down booties or extra socks. 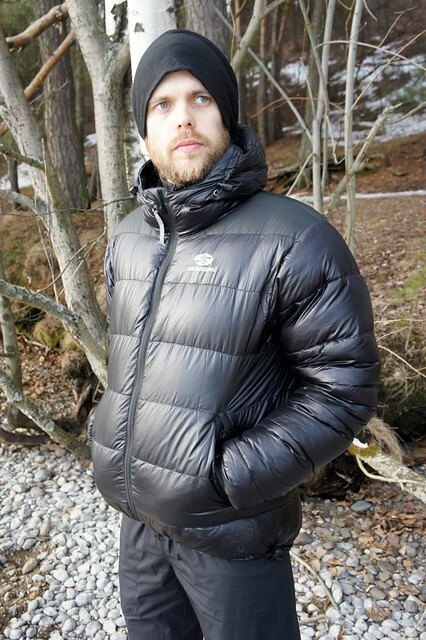 It has a great cut for us lean and athletic guys, with enough room underneath to wear up to three layers. It's black. And made in Europe. Yeah, I'm gonna keep it. 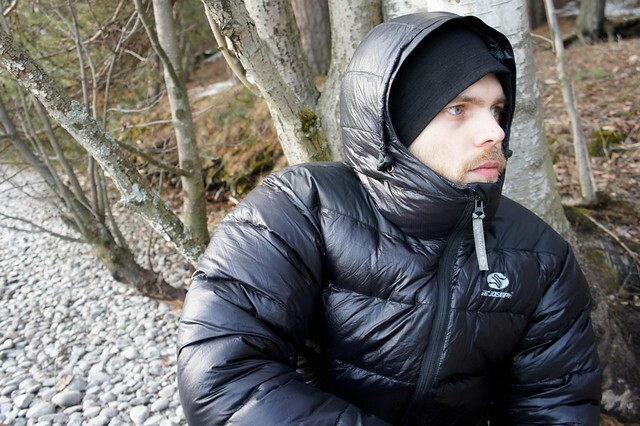 If you too want to wear the lightest down jacket on the market, the Sir Joseph Koteka down jacket, and earn yourself a 10% discount on one order of over 100€ at trekking-lite-store.com on any products you purchase, then all you need to do is Like the trekking-lite-store.com Facebook page and when you check out your order give them the Coupon code "Finland10" and voilá - you save 10% on your sweet UL goodies! This offer is valid till 31. May, so you got enough time to browse their shop and make up your mind.